I don’t know if it’s possible to have two main characters for a story? Gavin Star tells the story for the most part through out the first Songbirds book, but Zione sets a lot of the events in action. Gavin is really passive at the beginning (I know bad writing), but he finally starts to come out of his shell when he meets Zione. I didn’t have time to go completely into his background from a happy childhood living with his parents to staying with his cruel, cold & abusive uncle. Uncle James did massive emotional damage to him, beyond just physical abuse. Everyone reacts differently to child abuse, but in Gavin’s case his sense of self worth was completely destroyed. A large part of his journey will be rebuilding his self esteem. The other part will be surviving all the people out to get him. And hopefully at the end he’ll get the boy and the band. Anyone new to Songbirds, it was inspired by boyslove manga and V.C. Andrews books. Not sure if that’ll scare or interest most people though 🙂 The story starts here http://www.lulu.com/shop/nara-walker/songbirdsfly-away-with-me/ebook/product-20644863.html Yes, the art is terrible,but redrawing isn’t an option at this time. Many thanks for a fantastic bit on graphic novels and comic books and although I may not agree with you 100 percent, the actual aspects are nicely received after a quick review. It requires a lot of time and work to create great tales though the the fact is, additionally, it takes a lot of time and effort to tell poor ones also.| It is usually nice to obtain some good information on comics and graphic novels from someone elses point of view. One more thing, I’ve gone ahead and bookmarked https://prettyismarts.wordpress.com/2013/05/25/character-spotlight-gavin-star/ at Reddit.com in order that my guys are able to access it as well. 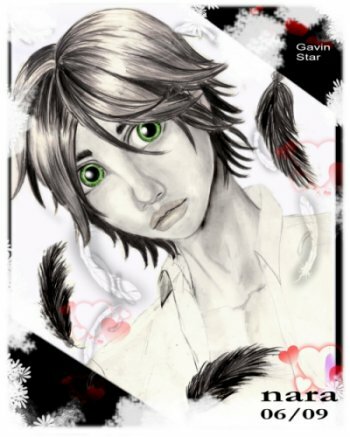 I conveniently made use of Character Spotlight: Gavin Star | Prettyism Press as your entry headline as the favorite, as I guessed since it’s sufficiently good as the headline for your site post that, then you probably wish to see it saved as a favorite online as well.